Here is a special segment of our amazing podcast called ‘Wrestling is Everything is Wrestling‘ or WEW for short, which is part of the Boomstick Comics brand on the Multi-Media Men Podcast label. That was a mouth full. Tom Nix and Bryan Kluger along with our returning third member Mike Purtill who hails from Huntington Beach (Samoa Joe) joined us to discuss all that is CHUCKLES GOLDBERG from WWE: Survivor Series! We laughed a lot and discuss how Chuckles Goldberg is the BEST thing in WWE right now. 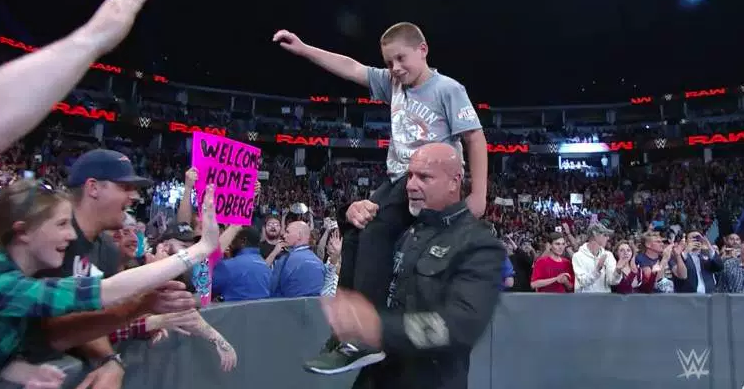 We also discuss how this Brock Lesnar and Goldberg feud will play out. Enjoy this special segment, because we definitely did. WEW Podcast Ep. 8 – Raw on RAW, plus Updates on Indie Wrestling! This entry was posted on Wednesday, November 30th, 2016 at 2:08 pm	and is filed under Events, News, Podcast. You can follow any responses to this entry through the RSS 2.0 feed. You can skip to the end and leave a response. Pinging is currently not allowed. « Netflix Unveils New Download Options!! !